Feeding my family wholesome, organic food has always been a big priority for me! It can be a struggle to read all of the ingredient labels and ensure that I’m making good choices for my family. There have been occasions where I’ve thought something was a healthy option only to re-read the ingredient label at home and discover it’s actually full of things I don’t want my family to eat. 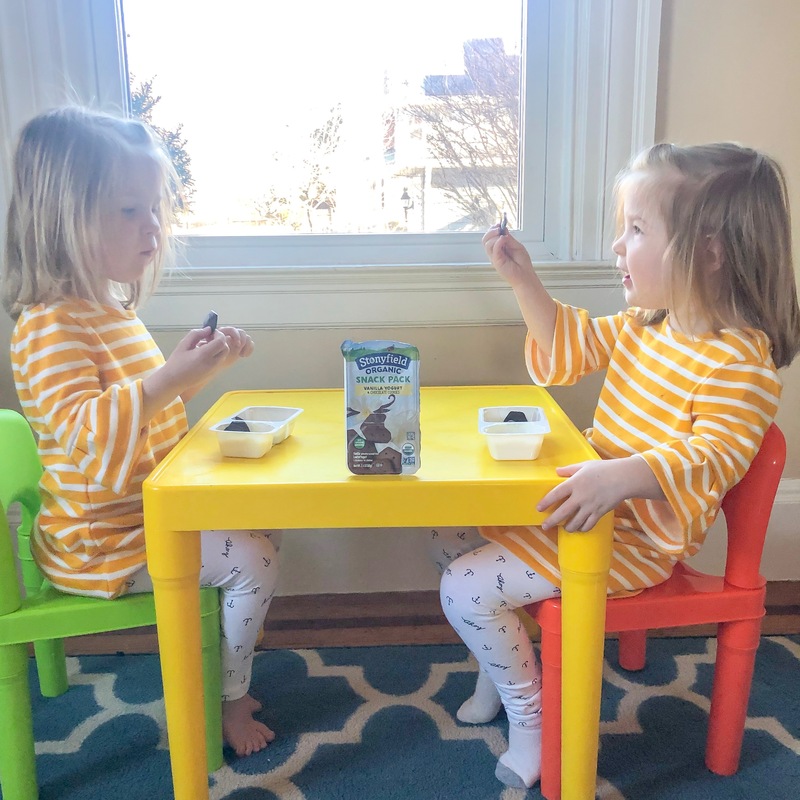 *This post is a collaboration with Stonyfield® Organic Kids®. All opinions are 100% my own. It’s difficult as a busy mom to constantly check nutrition labels to ensure that we are feeding our children food with pure ingredients. 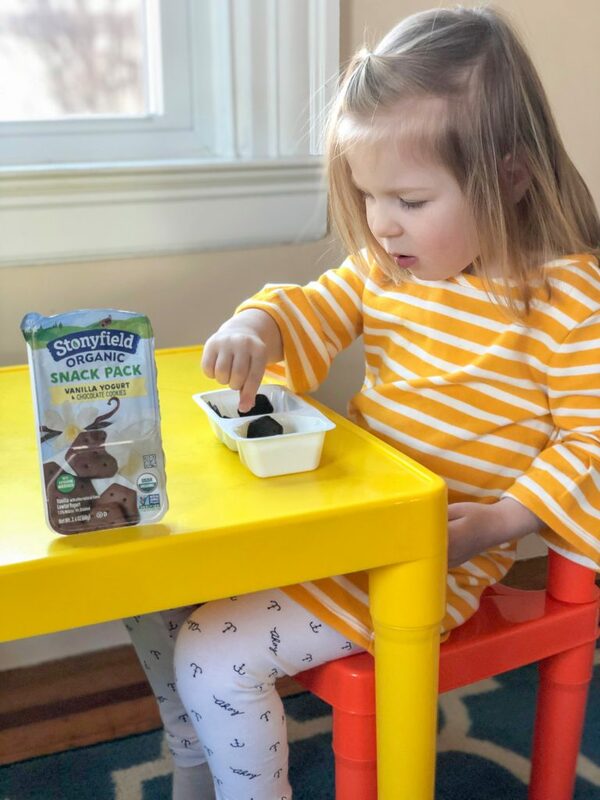 With Stonyfield® OrganicKids®, I don’t have to check the label because I know that their focus is on clean, organic ingredients. Their products are always USDA certified organic and Non-GMO project verified. They are a brand that I genuinely trust. Not only do I care about feeding my family healthy foods, but also taking care of our environment. 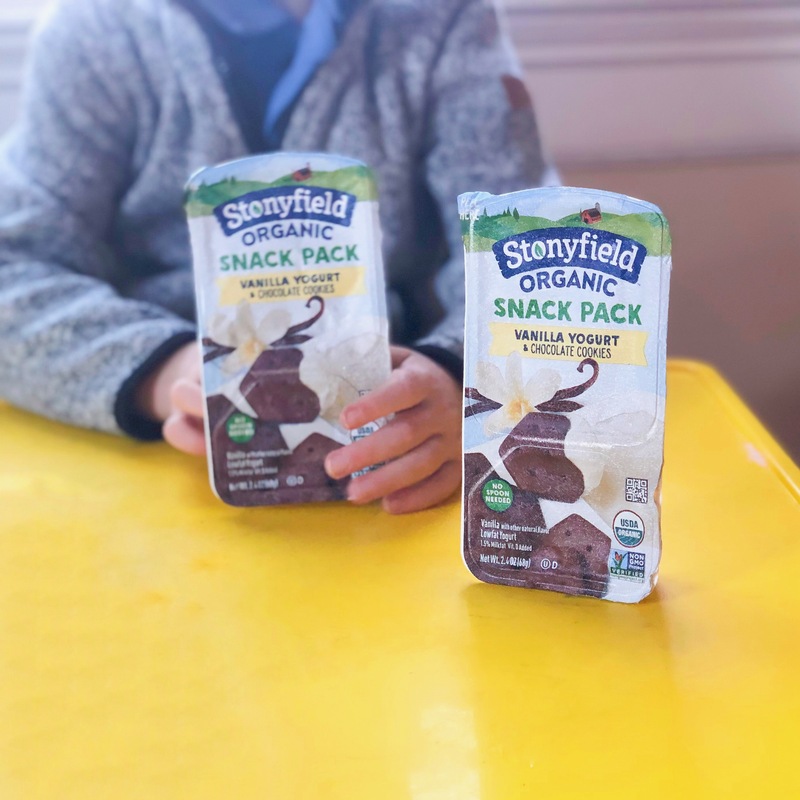 Stonyfield is a company that is making big, positive changes for our earth, and I’ll tell you more about them as well! They are a company that I can truly say I love giving my money to! 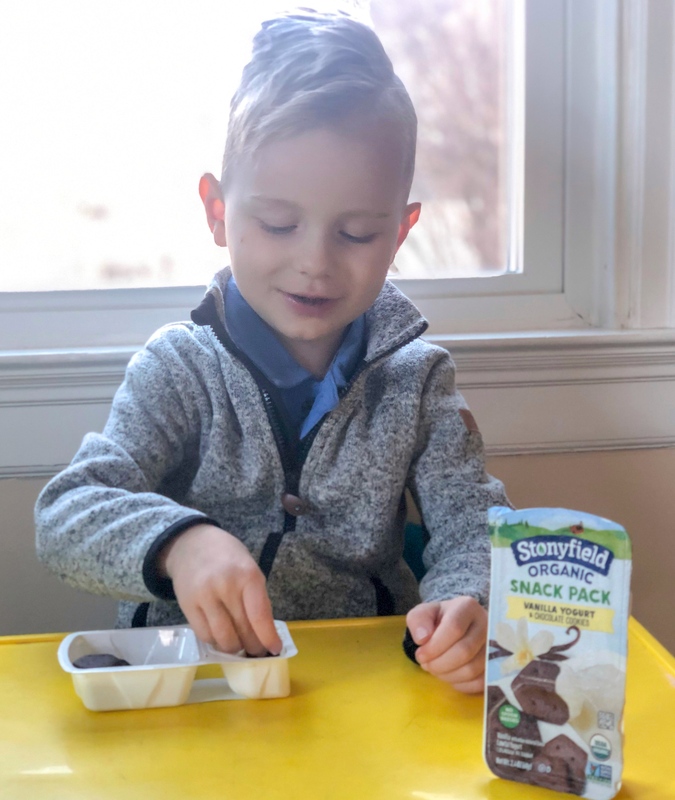 I was thrilled to discover Stonyfield® OrganicKids® newest product, the Organic Snack Packs! 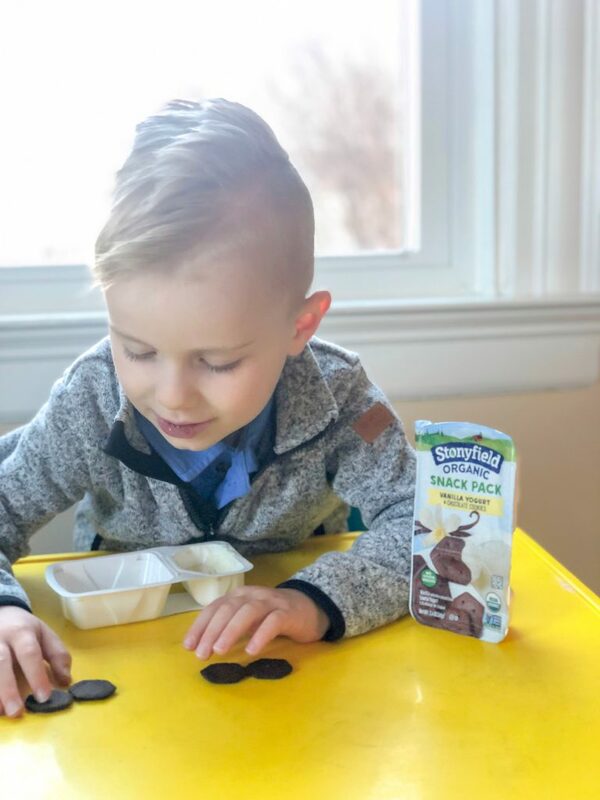 Stonyfield Organic Snack Packs are yogurts that come with delicious cookies, crackers, or pretzels to dip. As always, they’re organic and have zero artificial flavors or colors. Just good, healthy deliciousness. 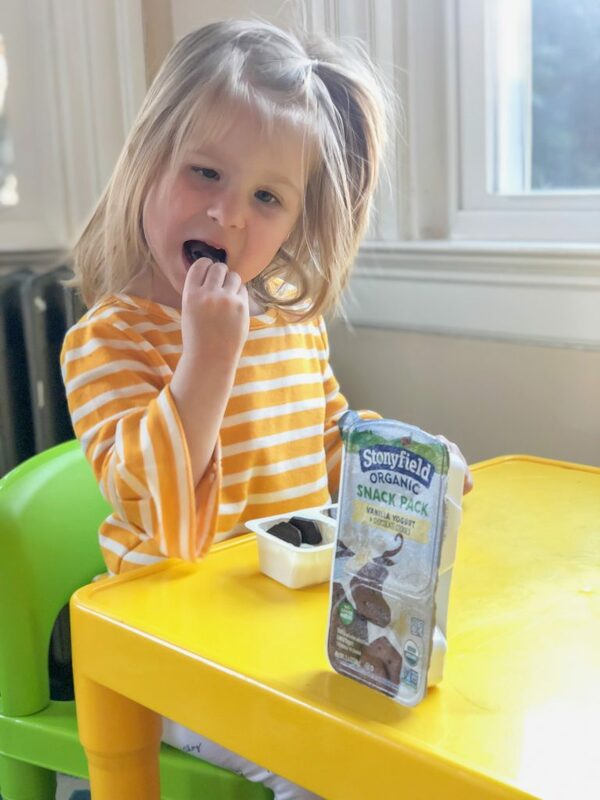 I love that they are a healthy option that are made with less sugar than the leading kids’ brands; my children just love that they’re yummy! They are perfect for busy families because you don’t need a spoon to eat them (use the cookie to eat the yogurt, brilliant!). I see them being the perfect snack to take along to the beach or park. We tried the vanilla yogurt with chocolate cookie, but there are other varieties as well! Did you know that over 26 MILLION children play on public grounds, and 65% of those spaces are managed with a combination of herbicides, insecticides, and fungicides? Research shows that pesticide exposure can adversely affect neurological, respiratory, immune, and endocrine systems in humans, even at low levels –and children are especially vulnerable. Stonyfield is working hard to combat that with their StonyFIELDS Initiative. They are working to make places where children play healthier by working with communities to stop the use of harmful pesticides on parks and playing fields. 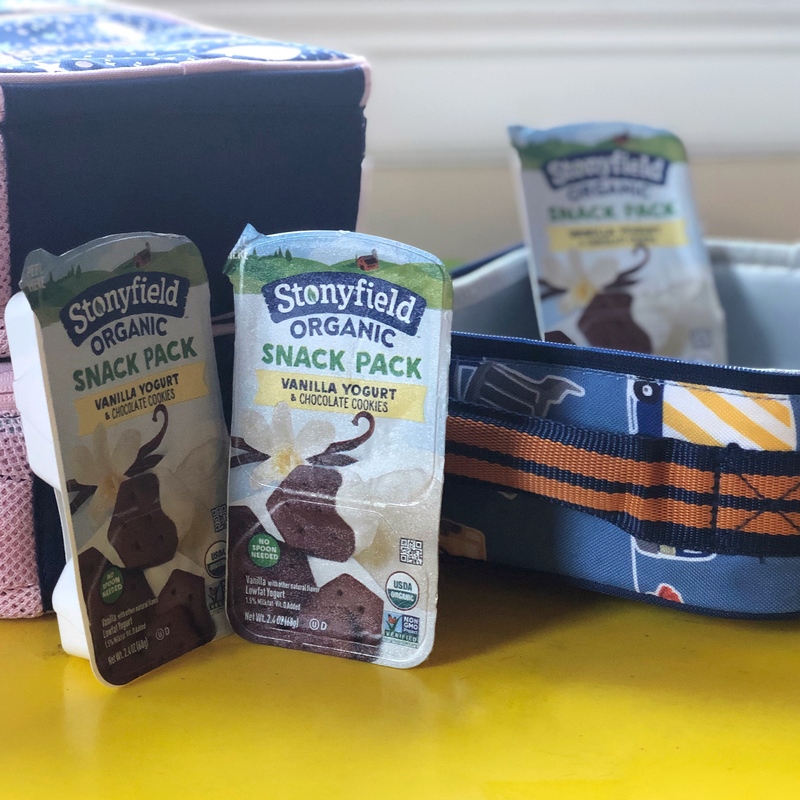 Stonyfield announced a three-year initiative to help 35 communities across the country convert outdoor playing fields and parks to organic, while also igniting a larger movement to ensure that all kids can play freely without the concern of potentially harmful chemicals. You can learn more about what Stonyfield is doing here. You can enter for your chance to win an organic backyard makeover! Our own backyards should be a safe place for our children to play. There are small things you can do yourself, such as testing your soil, not using harmful pesticides, and cutting your grass at just the right height. You can get more information on ways you can improve the health of your backyard here. Stonyfield is giving away an organic backyard makeover! You can enter to win the Stonyfield Earth Month Organic Backyard Makeover Sweepstakes between 3/25 and 6/2. The Grand Prize is a Backyard makeover from Environmental Lifestyle Expert Danny Seo. There are also hundreds of other prizes and chances to win. Head on over to enter now! 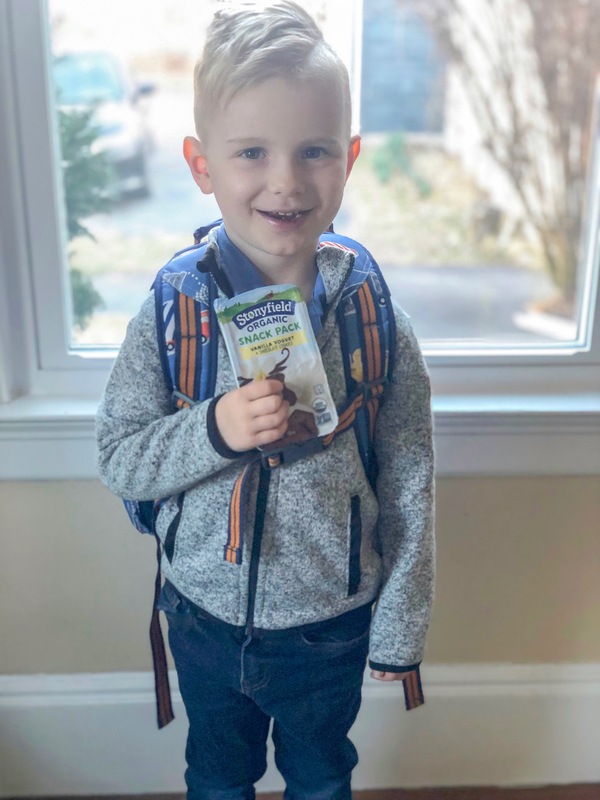 *This is a sponsored post written by me on behalf of Stonyfield® Organic Kids®. Thank you, Stonyfield® Organic Kids® for the opportunity to collaborate and for your commitment to organic farming!